Had a fantastic morning yesterday, went to see Ros & Los who help run Llechryd Gardening Club in West Wales. They have a 6 acre smallholding on the top & side of a steep valley in Pembrokeshire, and it was real pleasure to discuss the different challenges & projects: coppicing, windbreaks, Leylandii(! ), ponds, polytunnels, access. And plants, yes, plants as well! 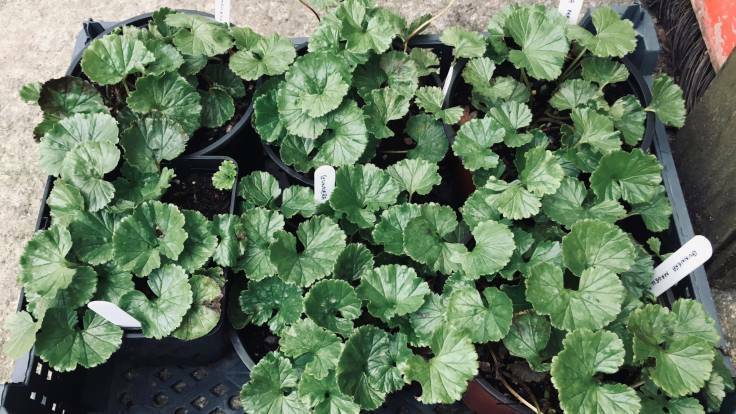 They very kindly gifted half a dozen Gunnera magellanica (pictured), a low growing, mat forming gunnera that will be perfect for the north bank of the rejuvenated farmyard pond (they like damp soil, part shade, shelter).